Citizens Specialty Hospitals department of Transfusion Medicine has a well-equipped infrastructure to maintain quality standards to prevent donor reactions and blood transfusion adverse event in the recipient. 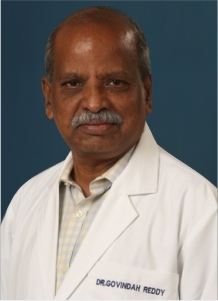 Headed by the very experienced team lead by Dr. K. Govinda Reddy who is the registered member of Indian Society of Transfusion medicine. We fulfil transfusion needs for the pre-surgical patient, anaemic patient, obstetric and antenatal, trauma cases, and transplant patients. We are commitment to best patient care through our quality blood components prepared as per international standards as well in compliance with national regulatory requirements. We maintain quality standards from the beginning of transfusion to blood donor selection, screening of blood components, monitoring and management of any adverse event. The aim is to achieve a high level of patient safety with particular emphasis to transfusion transmitted infections through our robust donor selection process and precise and accurate testing of blood donors for transfusion transmitted infections. We offer various product modification required for a specific group of a patient like leukoreduced component, washed components, and small volume components. The immuno-hematology takes to care for complications arising from repeated transfusions in multi-transfused patient groups which are a big challenge. The apheresis technology has enabled to collect desired specific blood component directly from the donor and a larger dose of specific blood component can be collected. The therapeutic use of apheresis technology i.e. plasma exchange can be used to treat autoimmune neurological disorders, TTP, LGBS, myasthenia gravis, antibody-mediated solid organ transplant rejection, facilitate ABO incompatible solid organ transplant. We have the facility to collect peripheral blood stem cells and for their long-term preservation for future use.